The $75 million Canopy Bardon has achieved almost 50 per cent sales in the initial launch weekend of its exclusive Natura Collection. 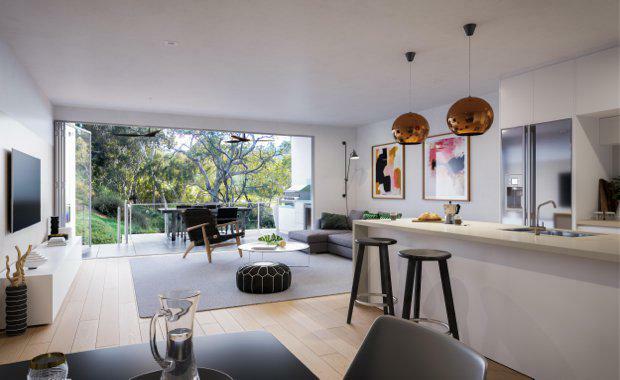 Developed by Pradella Property Venetures, the Natura Collection offers two and three-level, three and four bedroom modern architect-designed residence in Bardon, five kilometres from the city. Pradella Property Ventures’ Managing Director David Pradella said the Collection’s western corridor location and proximity to the city appealed to both local and broader markets. “Buyers have been attracted to the outstanding convenience and lifestyle benefits associated with being just 5km from the Brisbane CBD,” he said. “The townhomes and townhouses also make an elegant architectural statement, crafted to appeal to residents from all stages of life."